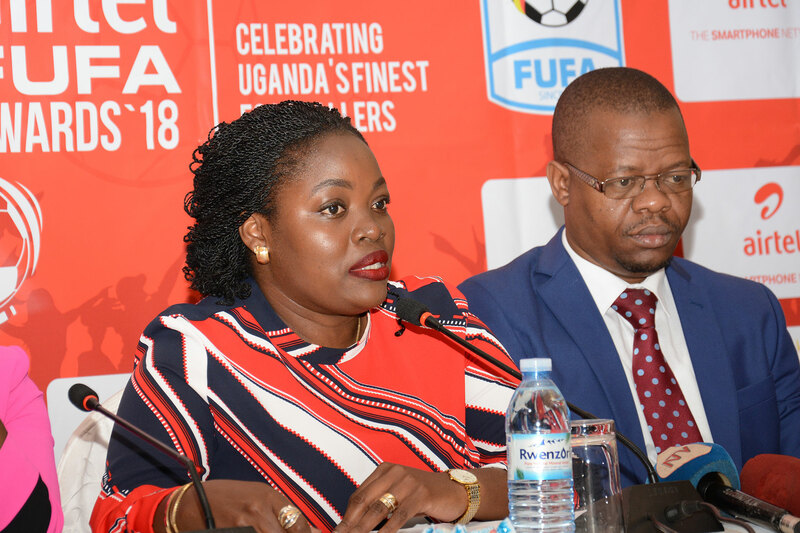 The 4th edition of the Airtel FUFA Awards have been officially launched at the Sheraton Kampala Hotel, Rwenzori ball room on Wednesday, 7th November 2018. In attendance at the launch was the FUFA President Eng. 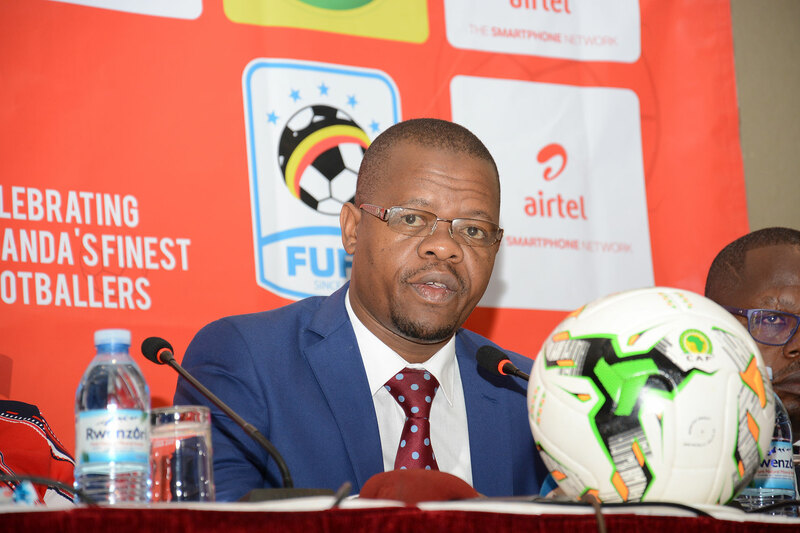 Moses Magogo, chairman of the Airtel FUFA Awards organizing committee Rogers Byamukama, Uganda Premier League’s Board member David Serebe, sponsors and partners’ representatives, event organisers Kibo Media as well as the media. During the same event, the Awards main sponsors (Airtel Uganda) handed over a dummy cheque of Shs 100M. Other partners NIC Holdings Limited also announced support of 10M towards the event. This year’s awards ceremony will take place on 7th December 2018 at the Speke Resort Munyonyo in Kampala. ‘The Federation continues to recognise individual and team excellence. The FUFA Awards are aimed at honoring excellence for Ugandan footballers annually that help in raising the bar. Some of the gallant past winners are now plying their trade outside Uganda like Fazila Ikwaput, Faruku Miya and Muhammed Shaban while Muzamiru Mutyaba is playing in the CAF Champions League with KCCA Football Club. I will end by urging all Ugandans to turn up in huge numbers on the 17th November 2018 at Mandela National Stadium when Uganda Cranes plays Cape Verde in the AFCON 2019 qualifiers. History awaits us as we fight to qualify for AFCON back to back’ Eng. Moses Magogo told the media. The Awards will once again be sponsored by Airtel for the 4th year running hence acquiring the naming rights of the Airtel FUFA Awards 2018. 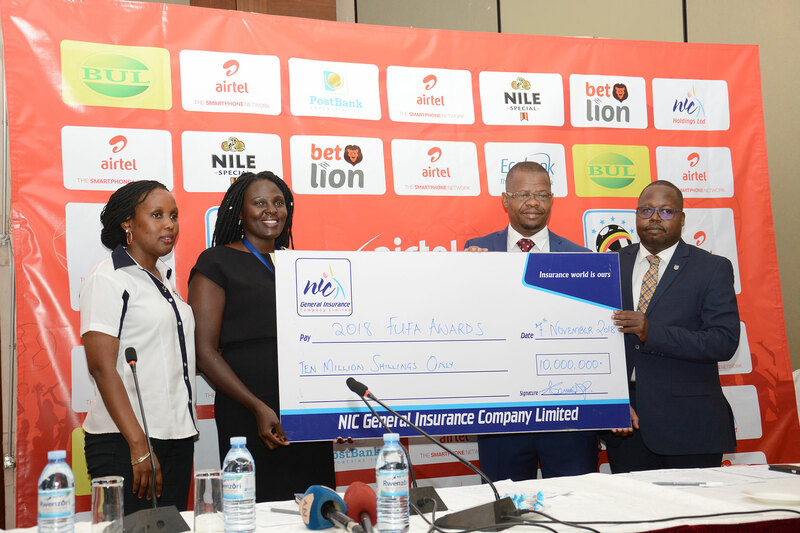 ‘We are happy to partner with FUFA for the fourth year running to sponsor the Airtel FUFA Awards. Airtel Uganda is committed to supporting football right from the grass-root to the national team and our support of these awards, re-affirms total commitment for developing football at all levels. We thank FUFA for continually recognizing talent and pledge as a brand to continue supporting this cause as we strive to see Ugandan football players become highly regarded in Africa and across the world. As a brand, we have been associated with promotion of football at all levels from the Airtel Rising Stars, Masaza, awards to the national team (Uganda Cranes). I also urge Ugandans to turn up at Namboole Stadium on 17th November 2018 when we play Cape Verde. Uganda is a blessed nation with abundant talent and we shall make it’ Airtel Uganda Head Brand and Communications Remmie Kisakye remarked. The final list of nominees for the Male and Female Most Valuable players (MVP’s) has been generated by a panel of experts – the 16 coaches in the Uganda Premier League and FUFA Women Elite league. There are 16 catergories for the awards in total, four of which will involve the general public through SMS to choose their best. Vipers vs KCCA: Who earns the bragging rights this time?